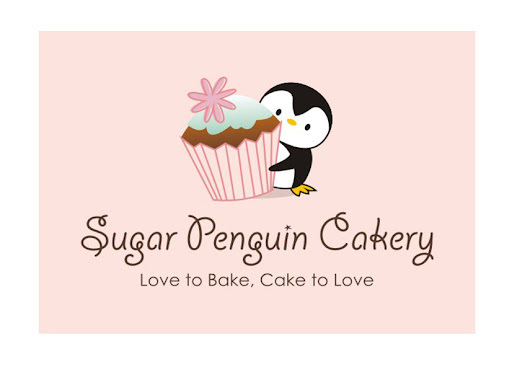 Sugar Penguin Cakery: TIME TO GO HIGH CLASS - JUICY STYLE! We made a very JUICY cake for a lovely birthday girl named Jessica. Her mom celebrated her birthday with a pink/black themed birthday party and we loved making this cake! The colors went so well together - very JUICY for sure! 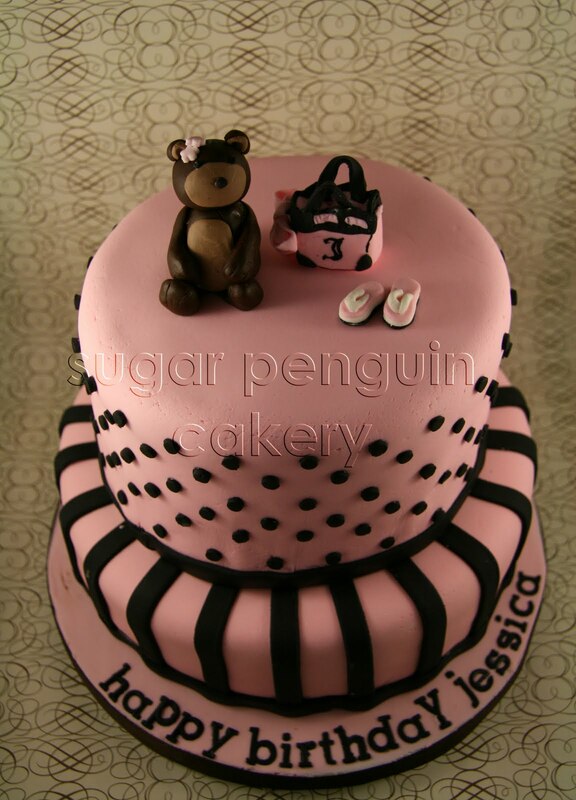 We designed a 2-tiered cake inspired by Juicy's signature stripes and fine polka dots. 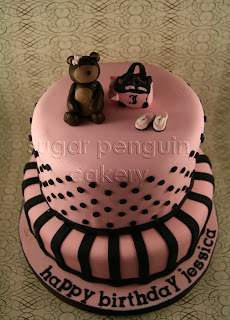 No Sugar Penguin cake would be complete without a signature bear and of course, a Juicy handbag to go with her. The flip flops are just a must! Jessica kept the handbag as a keepsake. Fondant figurines keep very well as long as they are NOT in an air-tight container, you can keep it in a box (not air-tight, as the fondant will melt) or even outside!